The 4iE is a Smart thermostat that works with your smartphone to give you optimal, cost-effective and energy-efficient heating. For use with electric underfloor heating systems and electric baseboard heat, the 4iE does not require programming and uses Warmup’s latest technologies to ensure your home is always at the desired temperature, at the right time, for you. Two options are offered, with and without WiFi. Easy to use and fully compatible with Warmup’s electric floor heating systems and electric baseboards, the 4iE Smart WiFi Thermostat saves you energy and money. 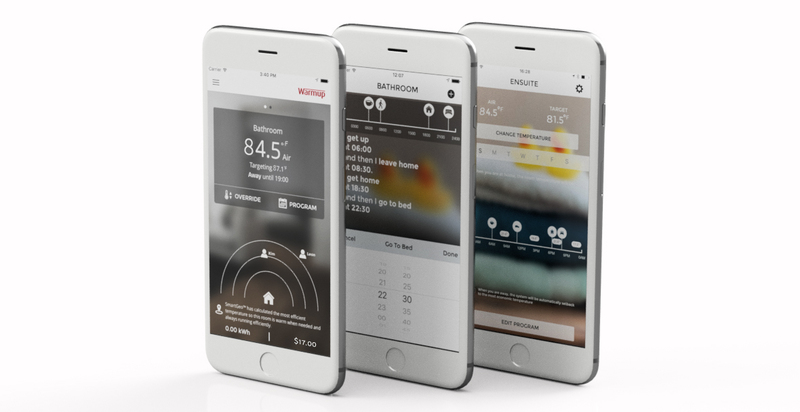 The 4iE is an app-controlled WiFi heating controller that maximizes the energy-efficiency of a floor heating system. Underfloor Heating is much more efficient in heating a home than traditional systems by running at lower temperatures to gently reach optimal warmth. Combining underfloor heating with the 4iE allows automatic, intuitive control of heating for a truly Smart home. Never come home to a cold house or overpay on your energy bills again. SmartGeo™ technology makes sure your home is automatically warm just as you arrive and running efficiently when you’re away. Only with WiFi version of the 4iE. The 4iE’s heating controls are easy to use and it doesn’t require programming. The set-up can be completed within a few simple steps. 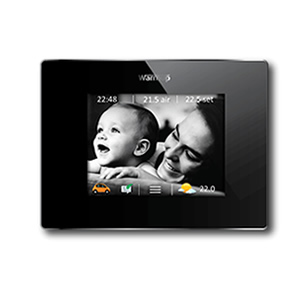 Warmup’s 4iE Smart WiFi Thermostat for underfloor heating is designed to look great in both modern and traditionally styled homes, with glass effect front faces and beveled chrome edges. Featuring a clear, full-color touchscreen that can be customized with different themes and uploadable photo backgrounds, the 4iE is available in Black or White. Coming soon: the Portrait orientation! The 4iE functions best when used in conjunction with the Warmup MyHeating heating app for your smartphone. The SmartGeo technology within 4iE’s partnered MyHeating app controls your heating automatically by knowing how far from home you are and warming your home in time for your arrival. This prevents energy wastage and can save you up to 25% on your energy bills. The Warmup® 4iE Smart WiFi thermostat that you know and love is now compatible with Amazon Alexa in North America. With Amazon Alexa integration, controlling your floor heat is now easier than ever. 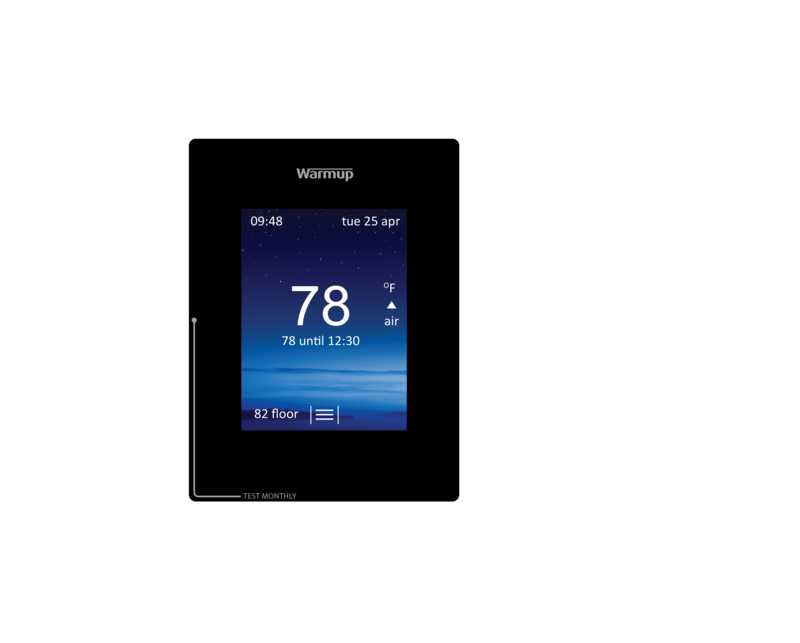 The 4iE underfloor heating thermostat is also compatible with other home automation systems like the IFTTT platform. Use the 4iE with Warmup electric underfloor systems up to 15A.